This is despite concerns that the scheme did not go far enough to reduce carbon emissions. A hybrid application for the North Street Quarter scheme was granted planning permission in 2016. Phase one was given full permission and outline permission was granted for phases two and three. 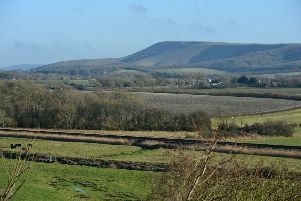 A reserved matters planning application for phases two and three, which includes 178 residential units, was approved by the South Downs National Park Authority’s planning committee on Thursday April 11. But Vic Ient, policy officer of the Friends of the South Downs, said they had great concerns about the lack of importance given to tackling climate change in the application. He asked why there was no mention of battery storage for solar energy or why air source heating had been dismissed. They were also ‘disappointed’ heating and power from the River Ouse had been dismissed. Jennifer Chibnall, another objector, felt it was ‘unfortunate’ the application ‘does not really conform with the neighbourhood plan’. Robert Cheeseman, chairman of the North Street Quarter sounding board, said there was some concern about the time it had taken to get to this point, but added: “It will provide much needed affordable housing in the town and will be designed in a way that will enhance the town. Planning officers described how conditions attached to the original hybrid plans asked the applicant to explore a district heat system rather than require them to deliver one.